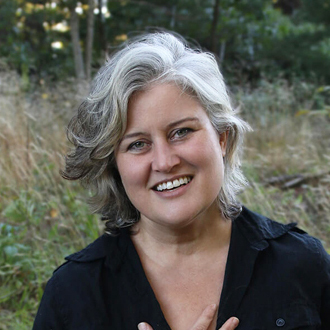 Since the release of her debut album in 1994, singer/songwriter Paula Cole has been building a large body of quality work, writing & recording nine studio albums, a live album, plus touring steadily as a live performer. Impressively, in 1998 she was named Best New Artist at the Grammy Awards, and she’s received other Grammy nominations. Cole is certainly best known for a special period in the late ‘90s, when her second album, This Fire, went double platinum, and she had the major hits “Where Have All the Cowboys Gone” and “I Don’t Want to Wait.” “Where Have All the Cowboys Gone” is a unique, iconic song that still sounds compelling 22 years after its release. It was nominated for Grammy Awards in two key categories: Song of the Year and Record of the Year. Her follow-up hit, “I Don’t Want to Wait,” is a personal, heartfelt song that has a memorable, appealing melody. We are pleased to do this new Q&A interview with Cole, who recently spoke and performed at the GRAMMY Museum in Los Angeles. She discusses her songwriting, and how she wrote her hits “Where Have All the Cowboys Gone” and “I Don’t Want to Wait.” Cole also gives a preview of her upcoming tenth album, which she will be releasing this September. Before we get started with the interview, here’s some background information on Cole’s career, and her album discography. She was born and raised in Rockport, Massachusetts, and she still lives in New England. She’s an excellent vocalist who combines soul and jazz influences, and she’s skilled at playing piano. Notably, Cole has produced her own albums, and her hit singles. Here’s her album discography: Harbinger (released in 1994); This Fire (1996); Amen (1999); Courage (2007); Ithaca (2010); 7 (2013); This Bright Red Feeling (2016); and Ballads (2017). She will be releasing her tenth album this September. DK: You recently spoke and performed at the GRAMMY Museum in Los Angeles, and in 1998 you were voted Best New Artist. How did it feel to win this award, and what has it meant to you, to receive this honor? Paula Cole: I think that time puts things more in perspective. I’m able to appreciate now what a profound moment that was. I’m incredibly honored to have received this award and the nominations. Back then, it was all just happening so fast for me…I was in the fury of the fray. So I don’t think I appreciated it as much then, as I do now. DK: In your early years, you attended Berklee College of Music and studied jazz there. Then two years ago in 2017, you released an album of jazz standards, called Ballads. Can you talk about your love of jazz music? Cole: Sure. I still love jazz with great depth. I was practicing on my 2-5 (chord) changes in my bedroom. I wanted to be a vocal improviser…I wanted to be a female Chet Baker (jazz trumpet player & vocalist). I wanted to vocally improvise like a horn player. And I would sing the standards, and I would sometimes change the lyrics (laughs). Or be very picky about which standards I sang. And that led into me wanting to find a more authentic voice, because I felt that a woman’s voice was not evolved enough in the lyrics of the Great American standards, which were mostly written by men. So that led to me writing my own music. I was also very influenced by Kate Bush at the time, and by Peter Gabriel and Joni Mitchell. So my music was coming out more as autobiography and more modern. But jazz never left me. DK: Your biggest album, This Fire, was a breakthrough, with your hits “Where Have All the Cowboys Gone” and “I Don’t Want To Wait.” First, what inspired you to write “Where Have All the Cowboys Gone”? Cole: I don’t think This Fire is necessarily the best collection of songs, but the timing was right. “Where Have All the Cowboys Gone” is just a very unique song…I don’t think there’s been anything like it. I think it’s unusual, because there’s humor from a woman’s point of view, and there’s melancholy, and there’s gender role examination in a wry way. (At the time) I was listening to the English band XTC, to their English Settlement album. It’s just brilliant songwriting, and funny and clever. And I thought…this is so clever, and it would be so refreshing to have clever pop written by a woman, with a woman’s point of view. So XTC was an influence. DK: I’ve always liked your hit song, “I Don’t Want to Wait.” Can you talk about how you wrote this song? Cole: “I Don’t Want To Wait” was just a very personal, journalistic song. I was very close to my grandparents…they lived down the street and helped raise us. And I felt (at one point) that my grandfather was going to die. I wrote this song for him, reflecting on his life, his service in World War II, his PTSD…which we didn’t have a name for then. Just how he related to my grandmother, how he related to his son…my father, and how his behavior was passed down through the family. So I was thinking about the influence of generational behavior and love for family. It’s the story of my grandparents, and how it made me want to live my life. DK: After This Fire, you recorded and released several more albums, although you took a lengthy break between your albums Amen (in 1999) and Courage (in 2007). Cole: I had my three albums in a row in the ‘90s—Harbinger, This Fire and Amen. And then I took a break to raise my daughter. Then I came back with the album Courage, then Ithaca, Raven, 7, and Ballads. I also released a live album, and now I’m making my tenth album. So I’ve been very busy [and creative]. DK: For music fans who know your ‘90s music and would like to explore your more recent albums, which of your albums would you recommend they check out? Cole: That’s hard…you’re asking the artist (laughs). I think 7 is a very intimate, acoustic album…I just love the way it feels. It’s probably the most organic, stripped-down album, whereas Ithaca and Raven are a little more produced. And I’m really proud of Ballads; I think it’s hit a chord with people. There’s something about it…it just sells more than the other albums. People respond to the [classic songs]. DK: You’ve also been working on a new album. When will it be coming out? Cole: We think the album will come out in September; we’ll be releasing singles before then. DK: Is there a single that’s coming out soon? Cole: There’s a song called “Hope is Everywhere”—it’s going to be a dance single and it will come out first. It’s being remixed by two DJs in London. DK: I heard a preview of your new song “Revolution,” which features guest performances by Bob Thompson and Nona Hendryx. This song is more political, with a message. Does it reflect your opinion of what’s going on in the world, and how you want to address that? Cole: Oh yeah….how I speak is through music. So what I want to say is there (in this song). Bob Thompson is a brilliant jazz pianist, and he’s in the house band of the NPR Mountain Stage radio program, and I’ve been on several times. Bob also has a gorgeous speaking voice, and in the song he speaks the words from a Dr. Martin Luther King speech. Dr. King’s words have been a constant throughout my life…I was born the morning after he was assassinated (in 1968). So I always heard the story from my mom about how she cried with me (after his assassination). And I just feel very connected to him in that way…just coming into the world when he was leaving the world. “Revolution” also features (music legend) Nona Hendryx—she’s 76 and you’d never know it. She’s in fantastic shape, she’s a fierce warrior queen, and she’s done so many genres of music. She’s not afraid to sing and stand up, and she has the authority. So I love both Bob and Nona as people and artists. Meshell Ndegeocello’s voice is also on my album, and I’m fortunate for that. I wanted the influences of these other artists on the album. DK: You’ve released your last few albums on your own label, 675 Records. So how does it feel to be an independent artist who releases music on your own label? Cole: Well, it’s creatively free…I’m more prolific than ever. I don’t have to run things by people, I can just do it. And I’m DIY that way. I self-produce my albums, I always have, so it suits me. I like the freedom and the speed in which I can release. It takes money so it’s harder…you have to more cylinders firing because your entrepreneurial, and you’re running a small business. DK: Thank you Paula for doing this interview. Is there anything that we haven’t talked about, that you’d like to mention for this article? Cole: Just that people should really come to the live shows. I think that seeing an artist live just says it all. I really care…I worship at the altar of music and I care about it so much. I know I’ve made a good body of work, and I’m a creative live performer. So I hope people come check out the live show.